Lotus always seems to have downforce deficit to other teams, hope they find something. 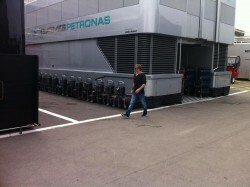 They run low, gives them aero advantages, but one thing Kimi always ask for is 'more downforce' . Three teams may have more downforce, but only two teams have a better overall package than Lotus. I'm not ready to go that far, yet. We still have 15 races to go. And I think Ferrari looks the equal of " title="rb" /> in terms of raw pace. I like his new Oakley sunnies much better! Weekend weather for Barcelona: high of 18C everyday, low of 14C. 40% chance of rain on Friday, 30% chance on Saturday and 0% chance on Race Day! no change, they had that pedal already last year. Mercedes went from pedal last year to drs button on the wheel this year. pedal should be better but weights a bit more. but pedal or button, that wasn't the cause of Alonso's problem. When does Nico's contract expire? I was adding fuel to the fire that Allison created by leaving Lotus. 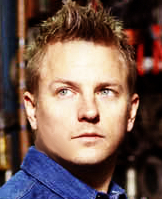 I think Kimi will field more questions about where he will drive in 2014 and the rumors are going to be coming more fast and furious now.. I think so to, but it is still really early in the season, I think a lot of interesting things will still happen this season things that change perception or have an impact on what Kimi decides to do. There has only been 4 races, so it is still a long way to go.